The St. Louis Business Journal recently put together a list of the twenty tallest buildings in St. Louis. Coming in at number six on the list is the ten-story Pennant Building, the new office building included in Phase 2 of Ballpark Village. The Pennant Building is currently under construction and will be St. Louis' first new Class A office building in almost thirty years. Located across the street from Busch Stadium, the 117,000 sq. ft. Pennant Building will include below-ground parking, street-level retail, restaurants, and additional entertainment space. The Pennant Building is scheduled for completion this August and is expected to have five tenants. 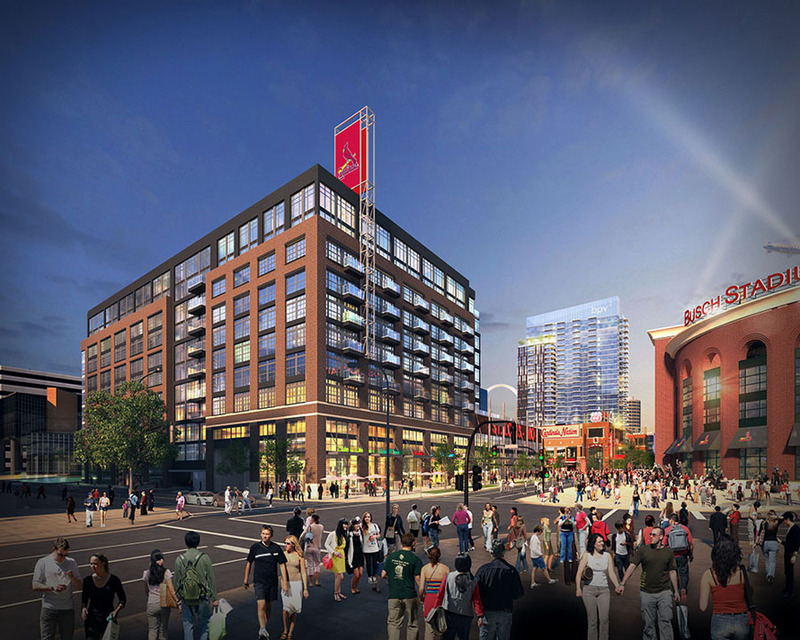 Other projects part of Ballpark Village Phase 2 include the Live! by Loews Hotel and One Cardinal Way. View the full article and list in the St. Louis Business Journal.